It's Tuesday and that's Scraptastic! I feel I should get back into writing up my scrappy adventures so will attempt a weekly post here and not just on Scraptastic Tuesday linking up days. So I have started my Sibling Together campaign for 2017! I'm not just using my scraps I'm using other people's too! Don't they look different?! But still similar enough that if we give a quilt to each of the children in a family they will have something tangible that unites them. It is only a small thing but I hope it will help them inbetween the times when they can be together. The blocks are very simple, designed that way so anyone and everyone can join in. Lots of people are doing just that and I still find it quite wonderful that they do. I love receiving your squishy packages through the post. I am squealing with delight on the inside as I don't want to frighten our rather quiet postman nor Maddie the dog, nor provide further proof to the kids of how mad I really am! Yesterday there was a delivery that didn't fit in our box. 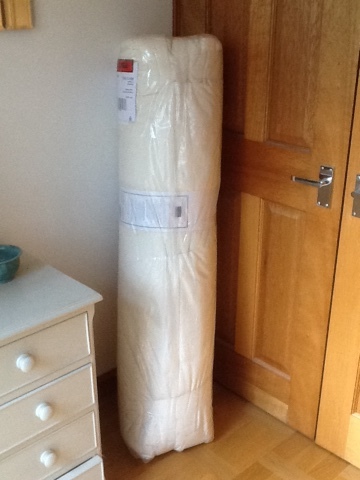 It was this roll of wadding donated by the most lovely Sarah! She has her hands busy at the moment so is not able to join in with the block making but still wanted to help us make quilts. Thank you so very much Sarah! 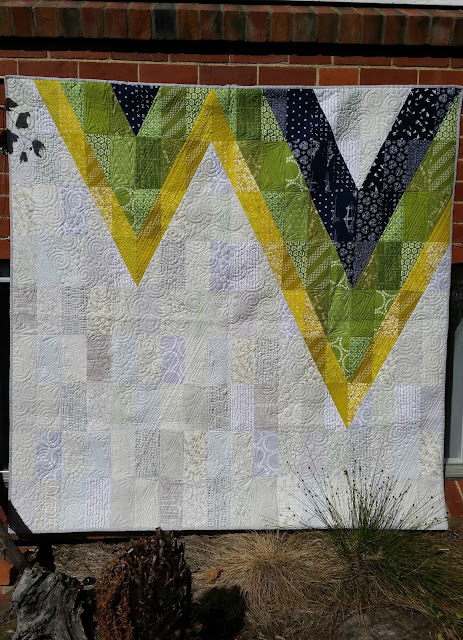 Two years ago when I was making quilts for Siblings Together I used up my own roll of wadding, last year we were makng Quilt As You Go blocks/quilts - I think I will need to wait a while before I take up that method again....! So this year having a roll of wadding donated is fantastic news! tell other people about the campaign and encourage them to join in! 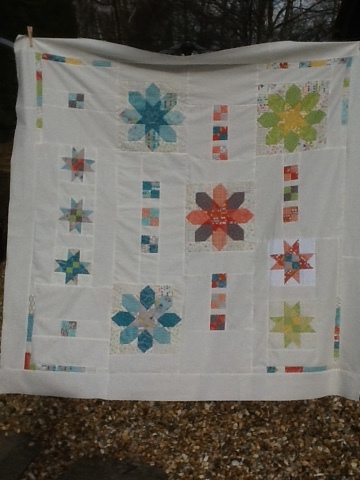 Or this year I am looking for people to take a quilt top and quilt it - could you be that person? 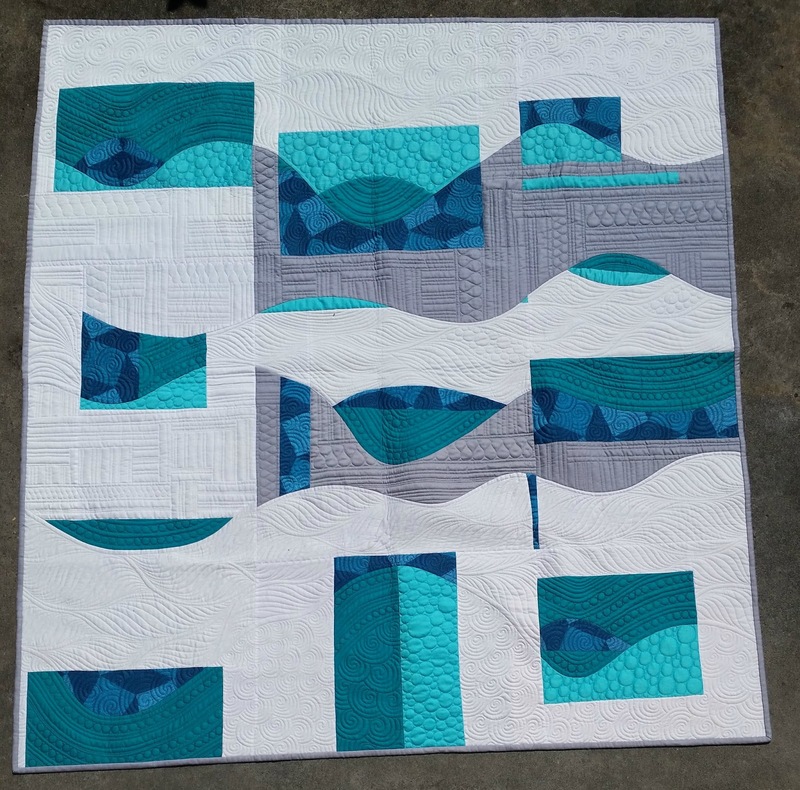 These quilt tops don't need anything complicated - simple straight line quilting will look fantastic or you are welcome to try out other overall patterns. 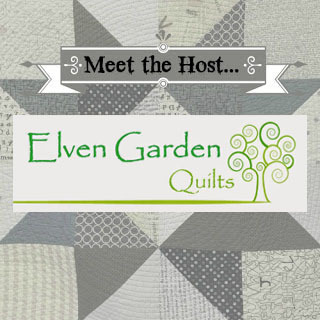 It might be the opportunity you are looking for to practice those quilting skills on your domestic machine or a longarm? 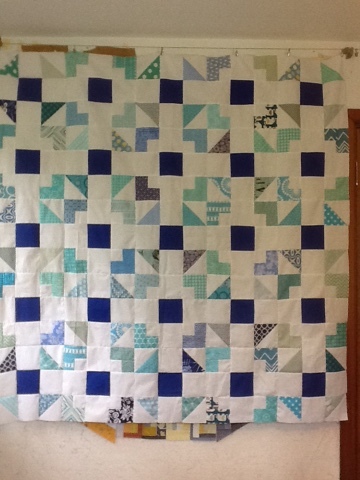 The quilt tops are 60" square and the quilts needs to be finished by July this year 2017. 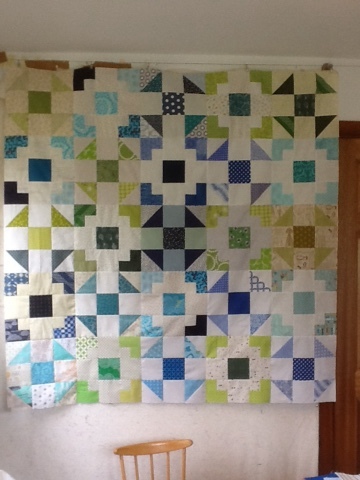 I can even provide wadding ....and we will pass on any donations of quilt backing we receive. Just leave a comment if you can help. Hey people it is time to tell you who won the prizes for the February Scraptastic Tuesday link up. Looking forward to next month and hope you will join us on 14th of March. And mostly the hate bit wins as I do tend to avoid it if possible - I mean I'd rather hand stitch something than paper piece it. I always seem to make a mistake or two. The shorter stitches used mean that it is a lot harder to unpick. Stitching through paper must blunt my needle. And then you have to rip the paper off! It makes a big mess! But on the plus side it does make things a whole lot more accurate than without the paper template which is why I would hand piece instead for greater accuracy! At the thread house retreat I was stitching my own thing instead of joining in Lynne Goldsworthy's paper piecing class but I finished my project quickly and started using her template to make her stunningly beautiful block - but it didn't manage to finish it there. When I got home I thought I should finish it. And I did! I was using fabric received in the retreat goody bag (which was excellent by the way) and raffle ; two charm packs from moda fabrics, mixed bag 2017. 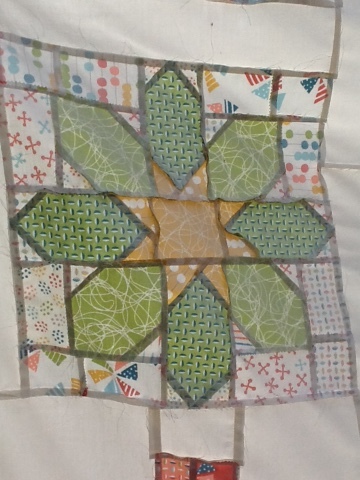 I thought I'd make some more but didn't want to go with paper piecing....so I tried out something a bit different. Do this on all sides - this will make it easier to line up your next fabric and use the minimum amount. 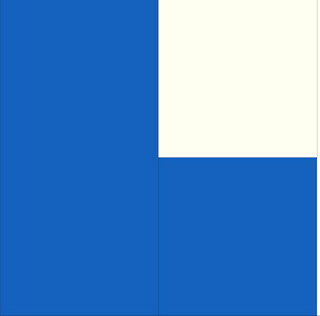 Check your next piece of fabric is large enough to cover the pattern - in this case the corner triangle and your seam allowance. 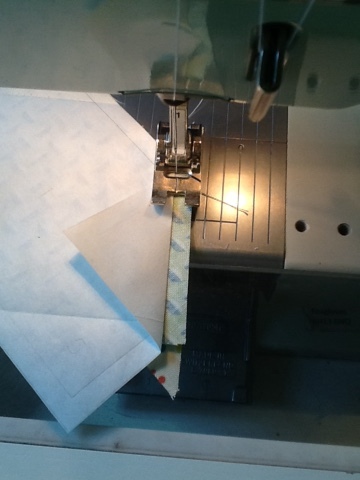 Place fabric with right sides together, folding back the freezer paper along the seam line. 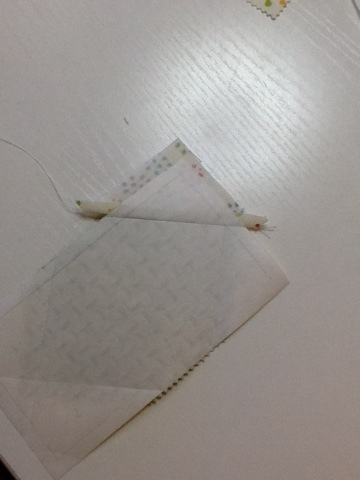 With the freezer paper still folded back stitch the seam. 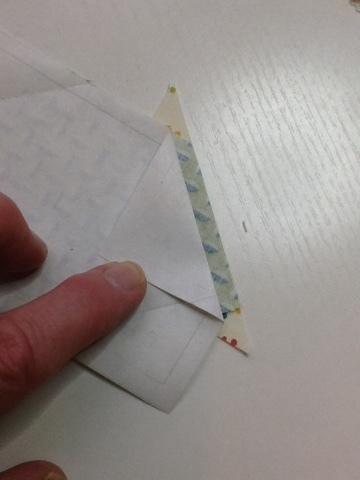 You are using the paper to guide your stitching and NOT stitching on the paper. 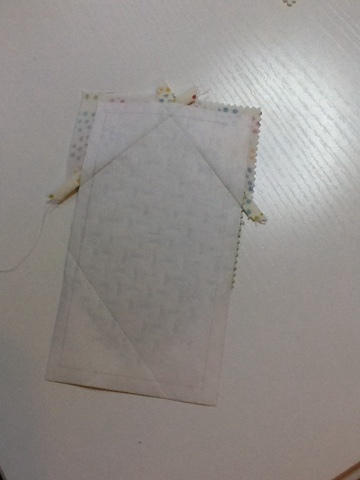 Now you fold down the paper and iron to fabric. View from the back - look no stitching on the paper! 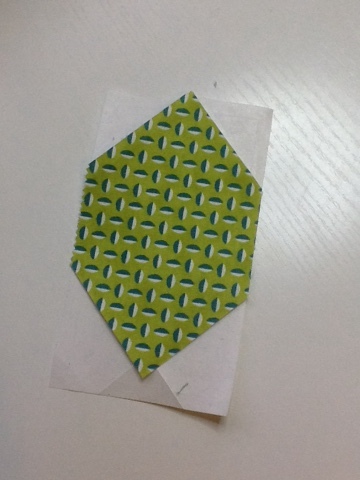 Use the pattern to trim off excess fabric back to the seam allowance. Peel off the freezer paper template and reuse for next piece - I used this freezer paper pattern for each piece like this in the three stars I made this way - that is twelve times! I made each piece of this star pattern using just two freezer paper patterns then once trimmed the fabric units were easily pieced together as normal with a 1/4" seam and no paper in the way. 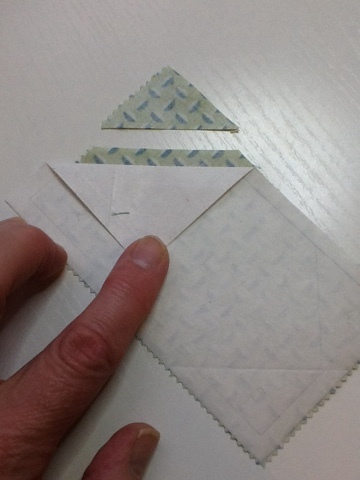 Another advantage of this method is that you can press your seams in any direction you like or press them open if you prefer just by peeling the paper back sufficiently to allow this. Some of these seams are a bit uppity as I didn't press them enough! It was quicker for me, less messy, less stressy! 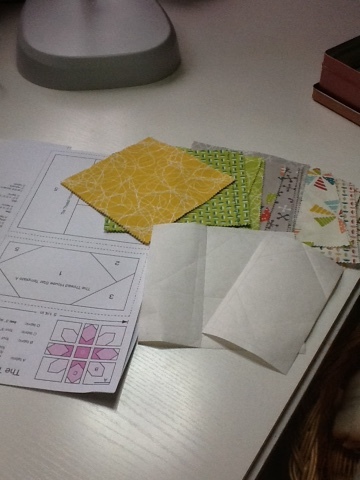 I think I may be beginning a love love relationship with this method of paper piecing. Have a go and see what you think! If you have any questions just ask and I'll try to make it clearer. 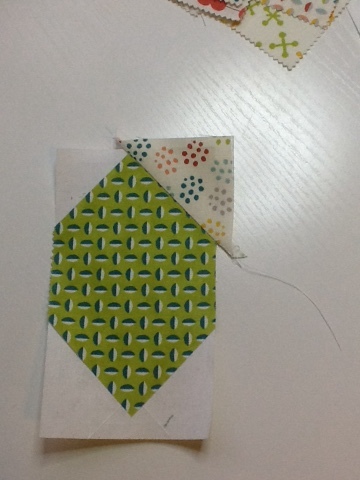 I'm using the same method for this pattern now - who'd have thought I'd be paper piecing so willingly!? FAL 2017 - Meet the Hosts - Jess! Each month we are going to be introducing the hosts of this year's Finish-A-Long so you can get to know a bit more about us! 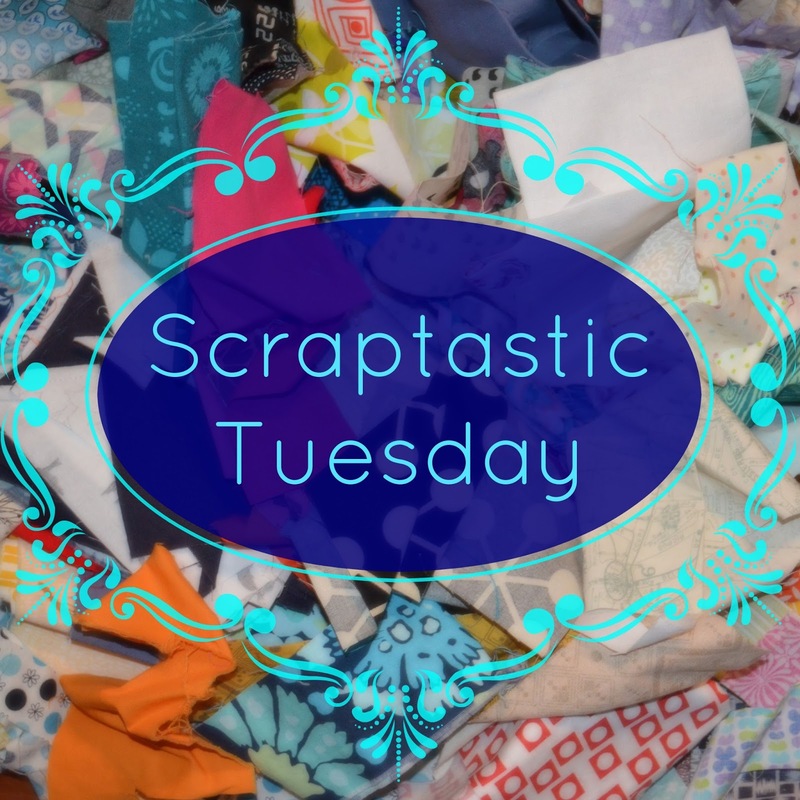 It's the second Tuesday (oops Wednesday for me) of February and that means that the Scraptastic Tuesday link is open. Hope you had a Happy Valentines Day! I have been working with some scraps belonging to other people as well as my own to make quilts for the charity I have been supporting for several years now: Siblings Together. The charity runs holiday camps and weekend activities to keep children in the UK Care System in touch with their siblings,as they are often placed apart from each other. I have been asking for blocks from two bees as I'm twice Queen Bee this month and have also asked the wonderful quilting community at large to join in. 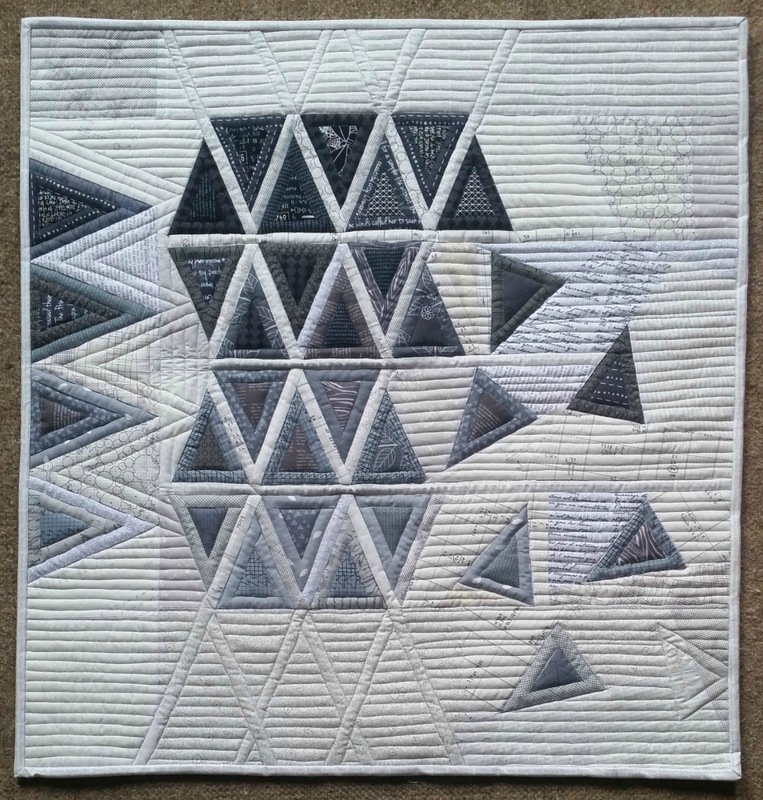 I am looking to make several versions of this quilt. 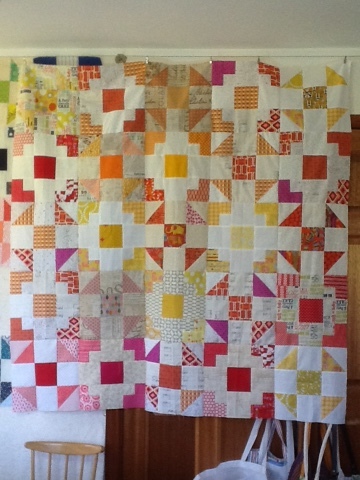 Several blocks have been coming in and a second top is already stitched together in warm colours - red, orange, yellow and a dash of pink. 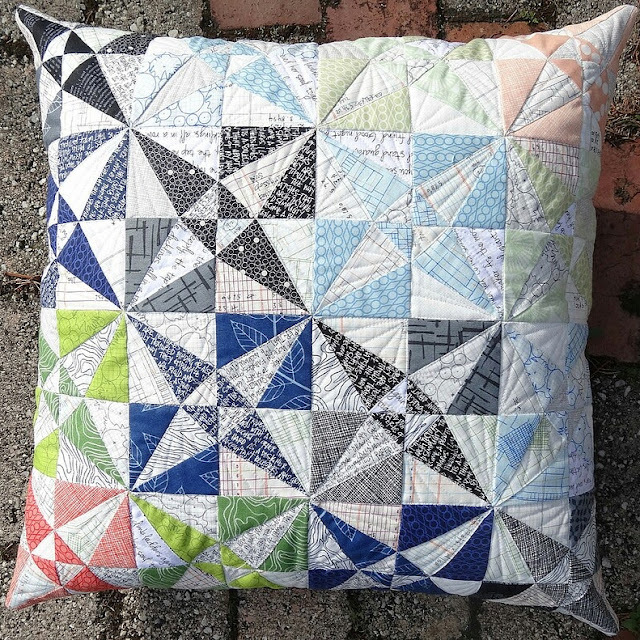 So that's what I'm up to this month - please share your scrappy projects, in progress or completed or your tips for using or organizing your scraps. I am Queen Bee twice over this month - for the Siblings Together Bee and also for the Stitch Tease Bee. 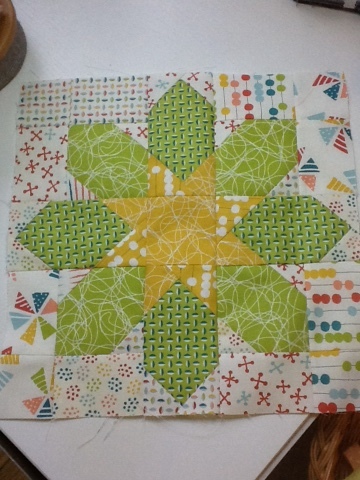 So I decided I would use my worker bees on the same project - a quilt or two for Siblings Together. 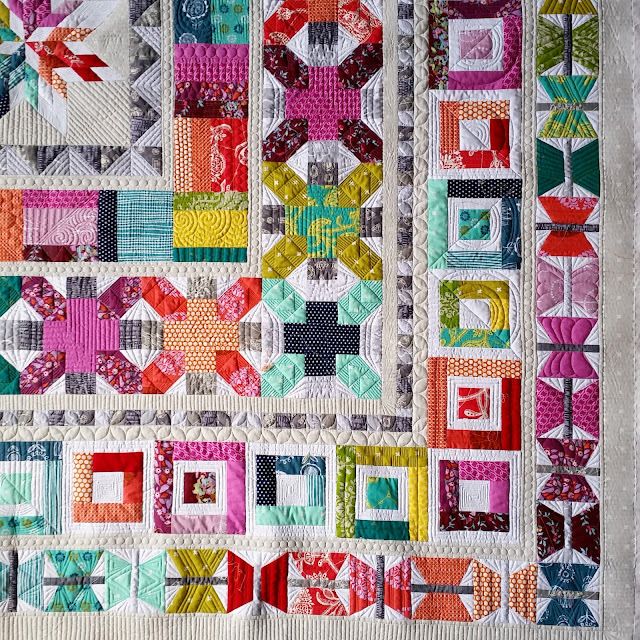 In case you don't know about the annual campaign to make 100 quilts for the Siblings Together charity it is all about providing quilts for children in care in the UK. While in homes or with foster parents, children in care are often placed away from their siblings. The charity Siblings Together runs weekend activity days and holiday camps so that important sibling bonds are maintained. The children are referred by their social care team from all over the UK and they receive a quilt or blanket after 6 months of attending the weekend activities or after the camps. 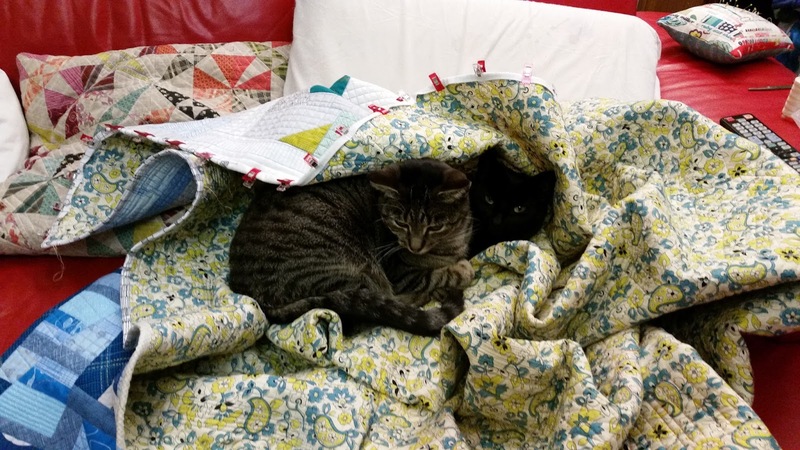 The quilts are great for snuggling when needed and as a memory of times shared and often are one of the very few peronal possessions these children have. 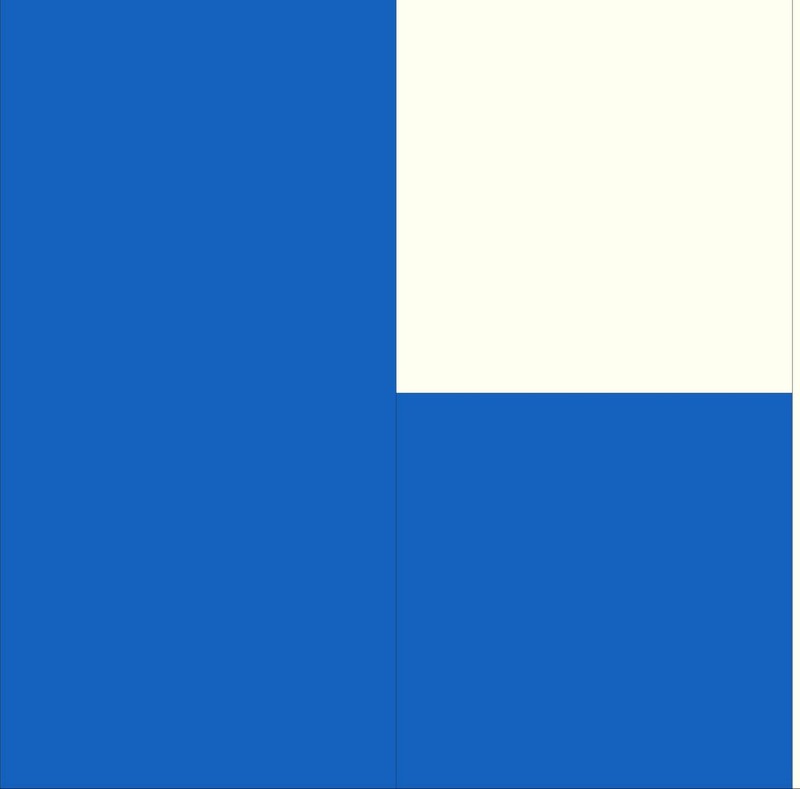 So if you feel inclined and I hope you will it would be great if you could join in by making one, two, either or both of these very simple blocks. 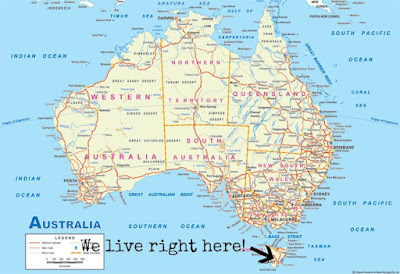 Get in touch with me on my blog or here on Instagram and I'll you my address to send the blocks. 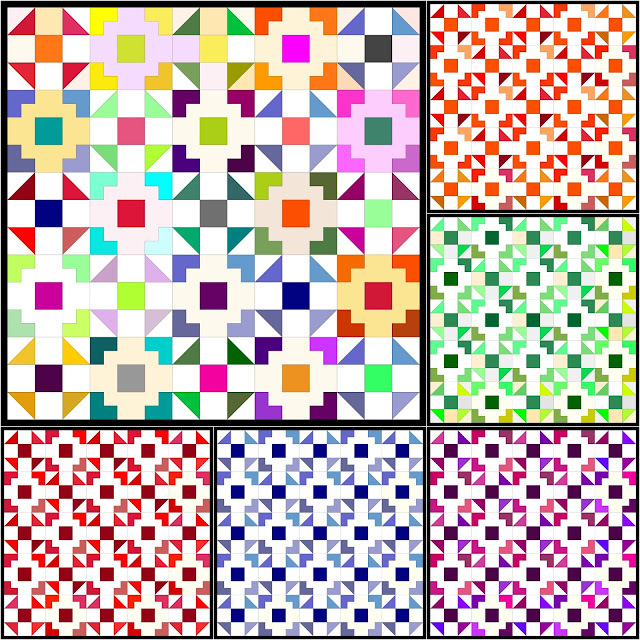 If you feel really generous you might want to make a whole quilt - either on your own or with a group of friends. There are also details of amounts required to make all the blocks in the instructins below. Alternately, you can also make any quilt you choose, gift any unused quilt you have or donate orphan blocks, wadding, backing fabric, any leftover fabric, binding - if in doubt offer and we will let you know if and how we can use your gift. 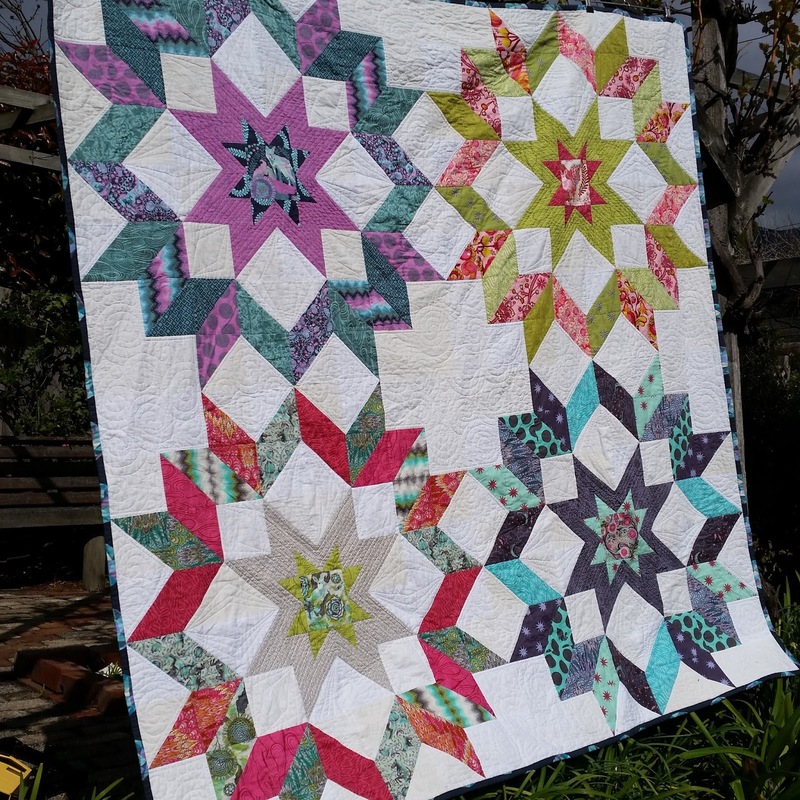 This year I don't think I will have as much time to make lots of quilts so I am also looking for people to take a quilt top or blocks and put quilts together. Thank you so much for all the help you can give and if you can't give then just cheering on the from the sideline does help tremendously too. So this is the quilt I have designed for this year's quilt drive for Siblings Together. My trial version is a blue one - see below - but I hope to put several together in different colourways and maybe even some multicoloured ones. I think it would look great in orange, or red, or purple - in fact there are a few clourways at the bottom of the page. 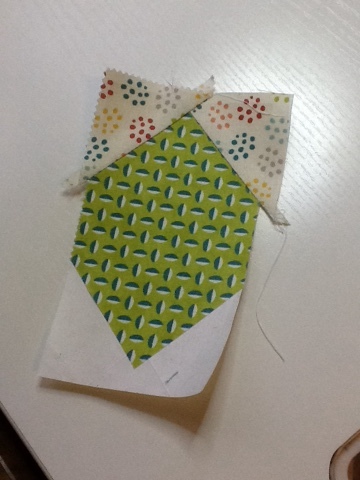 I designed it as charm square friendly to minimise some of the cutting but it can be cut from any piece of fabric. 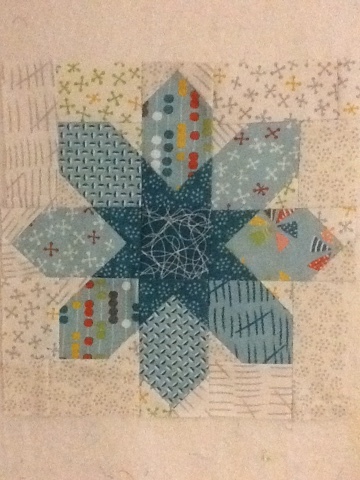 The blocks are simple and quick to piece together. They should measure 12 1/2" unfinished. 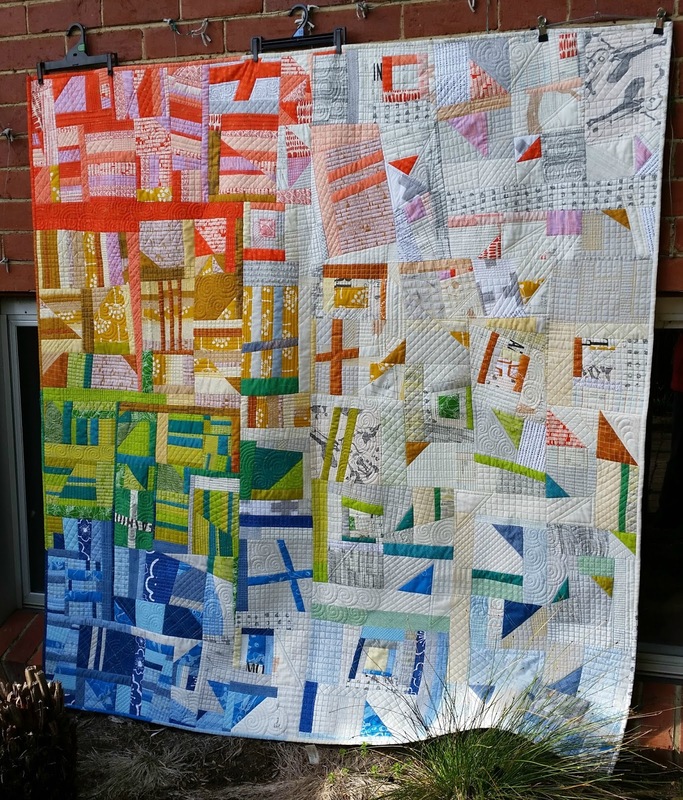 The quilt is 60" square. 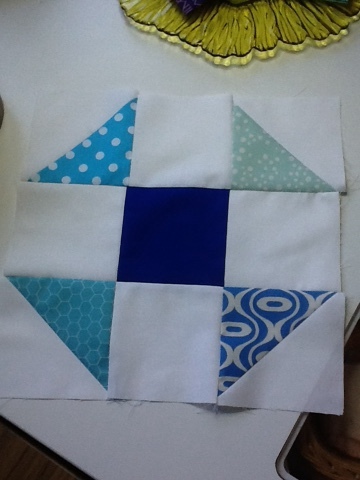 Cut 5" squares - two Low Volume and two coloured. 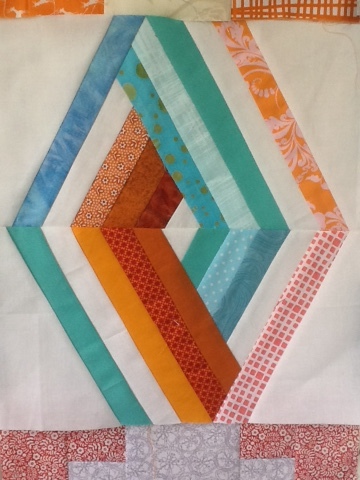 This produces four HSTs, which should be trimmed to 4 1/2" squares. 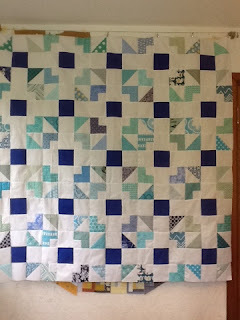 For variety in my test quilt which is all blue/white I used four different blue prints in each block, making enough HSTs for two blocks. 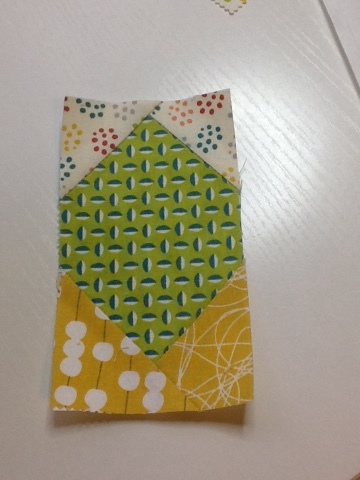 You can use two different prints however and place them diagonally opposite each other. 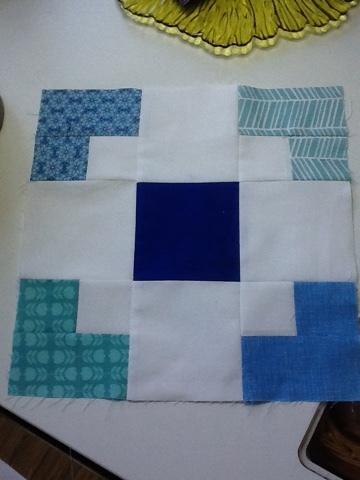 This is a nine patch block. 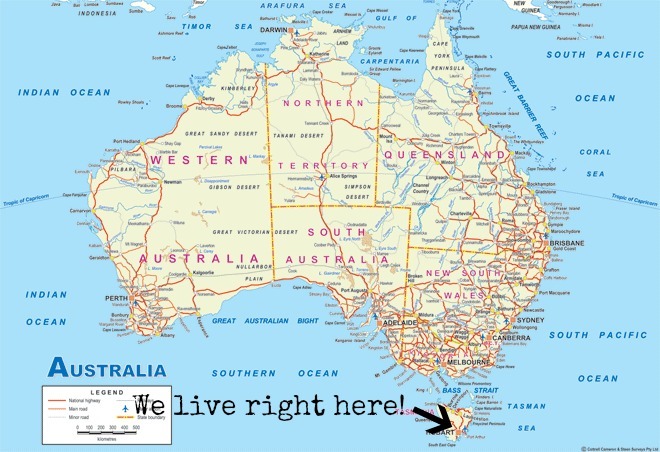 Arrange as in the diagram below. Select four coloured prints. All the same color.